Those were the words of men who loved “speed” and were thrilled by it, so much such that, they died in the fast lane in some of the world’s fastest cars. Apparently, there are people who naturally have a thing for driving fast, these people’s craving to burn the roads, have made car production companies manufacture more and more superlative supercars. As expected, these adrenaline-pumping cars don’t come cheap. Their price range from $900,000 – $3,000,000. I bet you are shocked as I was the first time I got to know this? 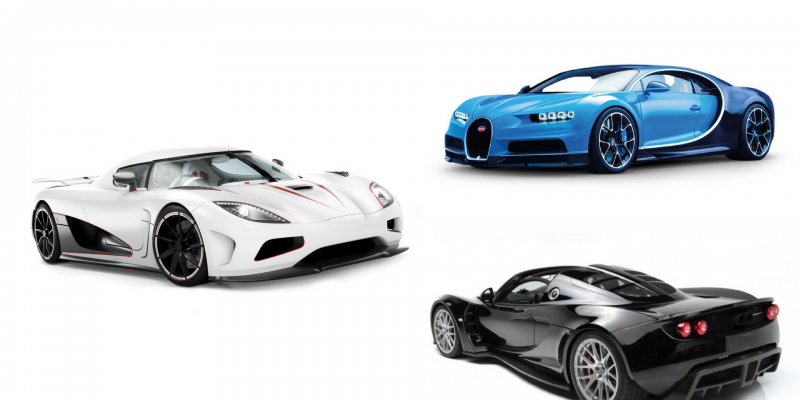 The obvious reason why these cars are so expensive, it’s because they are supercars — they are more luxurious than the normal cars and perform better in terms of “Speed”. In other words, the faster a car is, the more valuable and better. A car’s powertrain is responsible for transferring energy from the car’s engine, through the transmission to the drive wheels on the car in other to control the amount of torque — the turning or twisting force of a car. The idea is to reduce the resistance and friction throughout the powertrain to create more energy to turn the wheels, thus, increasing speed. A car’s weight plays an important role in making a car go fast. The lighter a car’s weight, the faster and quicker the car we go at top speed. As we know, everything moves through the air, in this case, the faster a car travels, the more the air resistance over a given period of time. The idea is to design a car such that, it can withstand (reduces wind resistance) so as to increase its speed. Now that we know the factors that play a role in making a car travel fast. Let’s now look at the fastest cars in 2017 as they rank above each other. Mirror mirror on the wall, which is the fastest of them all? This “wild beast” made its first debut at the Geneva Motor Show in March 2015 and is said to be the world’s fastest car after claiming a top speed recently. The new Koenigsegg Agera RS recorded a top speed of 446.97 km/h (277.87 mph) 0-400-0 km/h — 33.29 seconds — 2441 at the Vandel, Denmark on November 4th, 2017, making it the highest top speed for a production car. 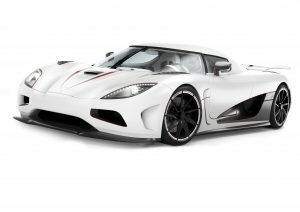 The Agera RS is powered by a twin-turbo 5.0-liter hand has 1,160 horsepower. You will find the complete specifications below. The worth of this car is estimated to cost $2,000,000. The Chiron first appearance was at the Geneva Motor Show on March 1, 2016, and said to be worth $3,000,000. This supercar was recently de-ranked by the Koenigsegg Agera RS. Nevertheless, The Buggati Chiron is still considered very powerful and the most luxurious (expensive) supercar presently. The Real Madrid star Cristiano Ronaldo recently purchased this beastie and beauty combined. It is powered by a 8.0-liter 16-cylinder engine that uses four turbochargers to make 1500 hp and 1180 lb-ft of torque. You will find the complete spec below. 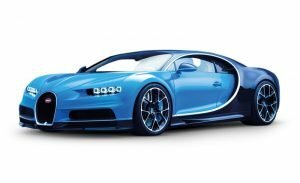 The Bugatti Chiron recorded a top speed of 420 km/h (261 mph) 0-400-0km/h — 42 seconds. Making it the second fastest car in the world 2017. The next after the Koenigsegg RS and Chiron is the Hennessey Venom GT. Powered by a twin turbo 7.0 liter V8 producing a massive 1, 244 hp, the Venom GT beat a world record set by the Koenigsegg Agera R in February as being the fastest accelerating production car in the world when it did a run from 0-300 km/h in 13.63 seconds. Of course, there are going to be supercars that will claim even more top speed than the ones mentioned above in the coming future if not soon. The battle for dominance continues and I am excited to know what the future holds for these marvelous vehicles.